There are many places in this world that claim the title of “big sky country”, but to me the biggest of the big skies is out on the open sea. 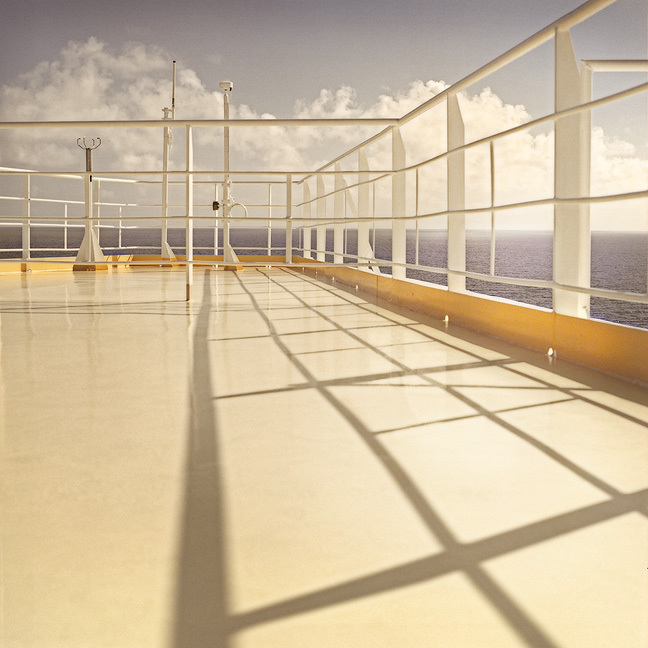 This is where we can observe the ever changing atmosphere with no visual interruption and no filters. And to boot, it neatly meets the ocean along an unbroken gently curving edge. It reaches and fills every direction and every angle of our perception. The vastness forces the mind to bring it down to a scale it can understand. Like in the Redwood forest, you get the feeling that you are no longer outside, but inside a volume. 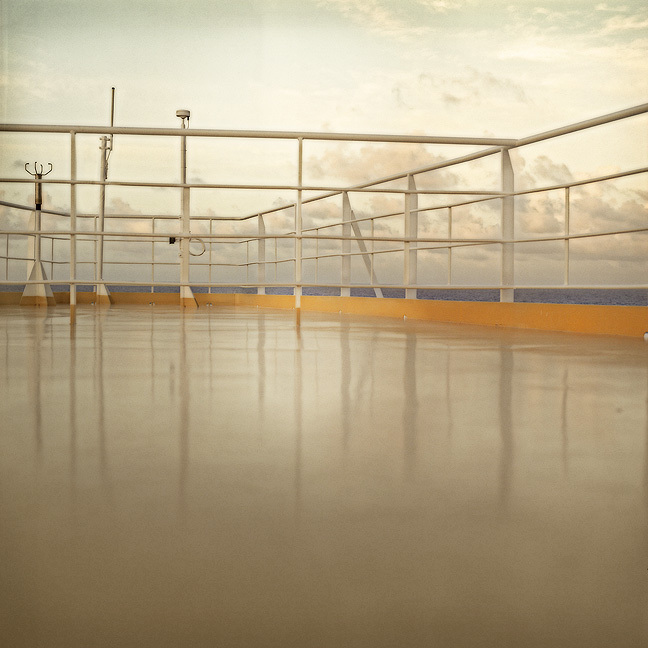 For most of us land mammals, the only way to be in the middle of this infinity is from the comfort of a ship’s deck. And it is from there that you learn of the uncompromising, efficiency of the design of an ocean going vessel. In ship design, nothing is where it shouldn’t be and everything is where it should. It has to be that way, in order to pay respect to the overwhelming magnitude of this environment. 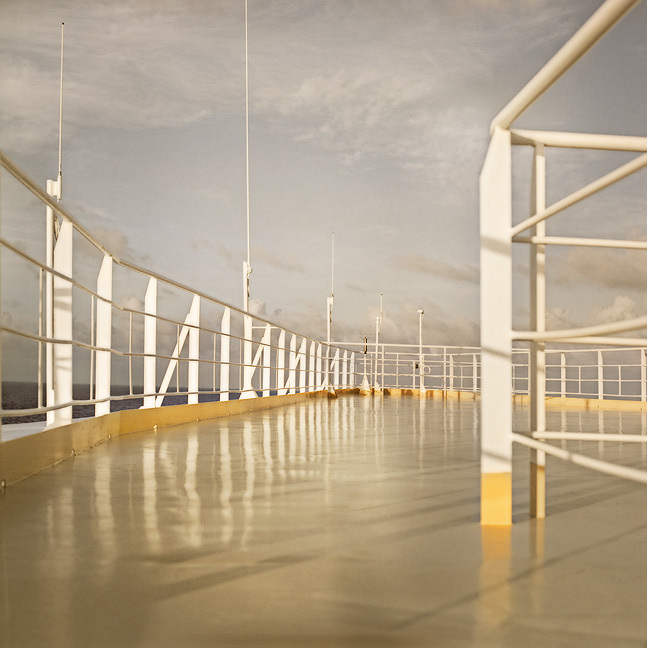 These images, with their overlays, reflections and varieties of light, intermingle the significance of each of these environments, taking the idea of landscape out for a spin at sea.